Hello there, lovely souls! I am happy to say that this is the first tutorial which I was forced to write by my readers (since my own motivation was not enough to push me through!). Special thanks to Vanessa and Becca for cheering me on. I would have probably never finished writing without you! 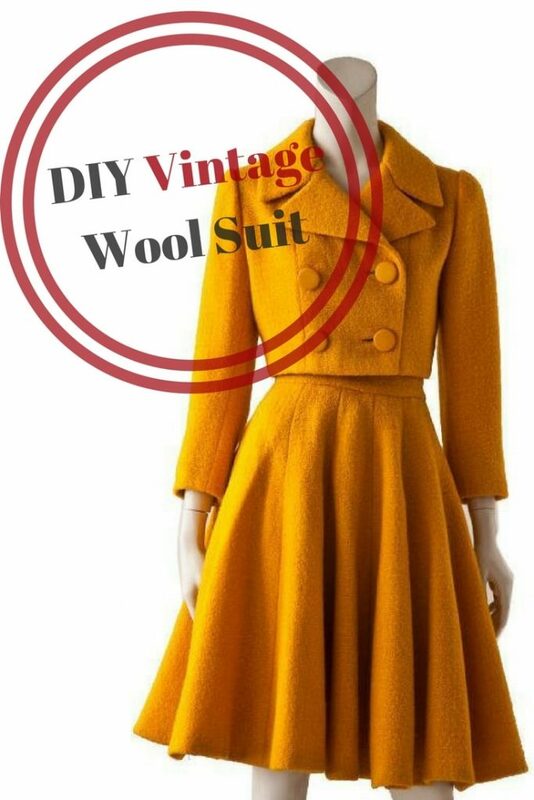 :)This is the second part of the tutorial for DIY Woolen Suit – The Jacket! You will find the tutorial for matching skirt here. I have found a similar suit for sale online and it cost a whopping 2,000 USD. WHAT?! I mean, I get it… beautiful, vintage things are rare and expensive. However, just to put it in perspective – in order to make TWO skirts and matching jacket, I have spent around 100 $ (and I still have some material left, planning to make a hat out of it). This is why I want to HIGH FIVE every DIY-er out there!!! I have saved myself 1900 $ (minus shipping:P) and nobody can tell me that my tailored suit is worth any less than the vintage original (which probably wouldn’t fit my short self anyway). Is there an English word for feeling a mixture of excitement and dread? Because that’s exactly what I felt when I was writing this tutorial. It’s definitely easier to make this jacket than to explain how to do it! The hardest part of this tutorial is step 1 – drafting your own pattern. Take your time with this and I promise that you will learn more in this one project than you did while sewing 5 ready-made patterns. 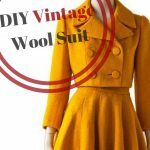 To draft the pattern for this jacket I used a similar method as for drafting my 1950’s vintage jacket. It involves taking a jumper (preferably one that you like, looks good on you, but isn’t very tight) and tracing it to make a basic pattern for sleeves and bodice. All you need to do is to fold your jumper in half and put it on a pattern making paper. Weigh it down, so it doesn’t shift in the process. What you have now is a basic bodice and sleeve pattern. Don’t forget to add 1,5 cm seam allowance all around the pattern pieces, except for center back of the back bodice (it is cut out on the fold). There are few modifications that we need to do. The easiest modification is the sleeve. I’ve noticed that the original jacket has short sleeves and I imagined that it would look lovely when paired with beautiful gloves. Measure the distance from your shoulder to the point where you want your sleeve to end and shorten the pattern accordingly. To help you with setting in the sleeve later, make two marks on the front of the armpit seam and one at the back. I added darts to the back bodice which were purely ornamental. I used a slash and spread method to add a dart on the shoulder seam and the bottom edge. Make one mark on the armhole seam. 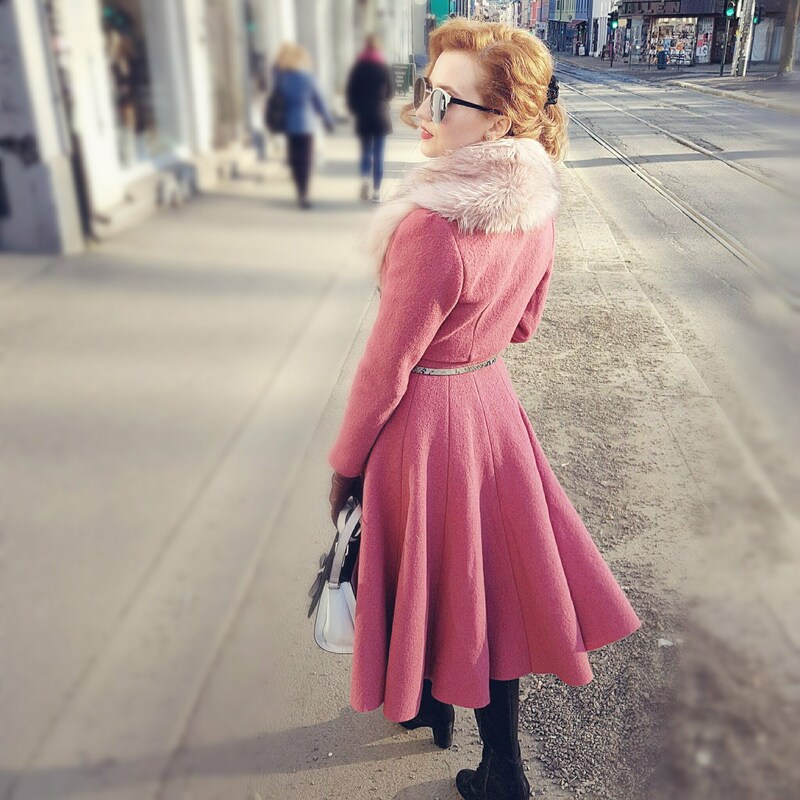 The jacket is designed to be worn with high-waisted skirts, so you will probably have to shorten the front and back bodice pieces to reach only to your waist (remember to leave 1,5 cm of seam allowance). The biggest modification is the front bodice. In the original photo, there is a seam that goes straight down from the shoulder seam to the hem of the jacket. I decided to make mine curvy instead – going from the armhole to the hem. You can choose whichever style you prefer. I suppose that the straight seam is easier to make, so that’s what I’m going to show you here. First, you will have to extend the center seam to create an overlap on the front and the lapel. To do this, I measured the distance between the middle of my torso and my bust apex, because that’s roughly where I want my jacket to overlap. Add that distance to the center front seam. Next, mark a point in the middle of the shoulder seam and bring a line down from that point to the hemline (joining the hemline at 90-degree angle). Cut the bodice piece in two. This will create the bodice piece and the side front bodice. Add seam allowances to the pattern pieces. Make two marks on the armhole seam. Now, draft the collar. Use this brilliant tutorial on how to draft the collar. 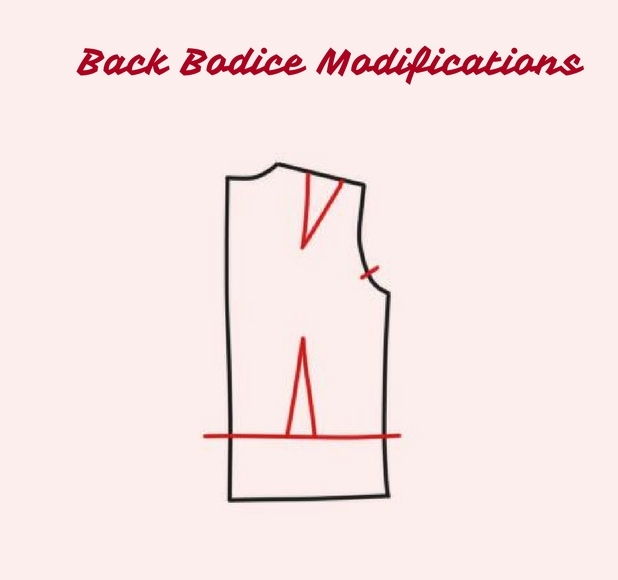 To make a pattern for back facing, simply take the back bodice piece, trace the shape of the neckline, shoulder seam and the center seam. The back lining is 6 cm wide, so make points 6 cm away from the neckline and connect them to draw the bottom line of the facing. Add 1,5 cm seam allowance all the way around,e except for the center seam. 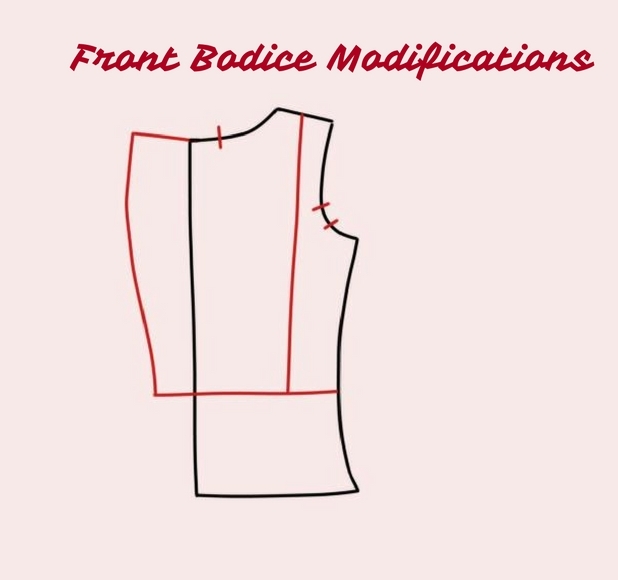 To make the front facing, trace the shape of the front bodice, around the neckline and center seam. Make the front facing 10 cm wide by marking points 10 cm away from the center seam of the front bodice, from hemline to the shoulder seam, add seam allowances. Put side front and the front part of the bodice right sides together. Pin in place, gather the side front till it fits together with the front and sew them together. Sew the darts in the back bodice and press them towards the side seams. 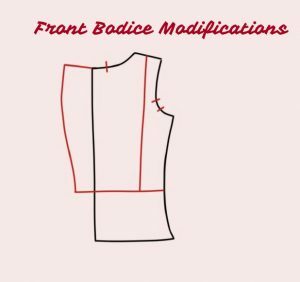 Put front and back bodice pieces right sides together. Sew together first the shoulder seams and then the side seams. 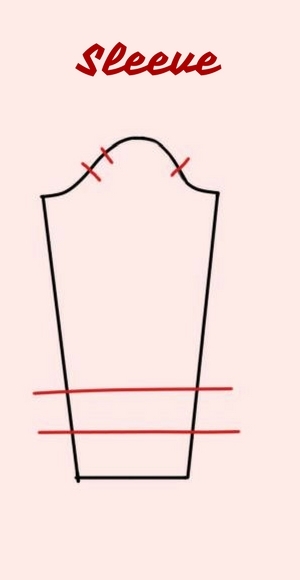 Connect the under collar to the bodice by putting it right sides together. Match the center of the undercollar and the back bodice. Clip the edges of the seam allowance. 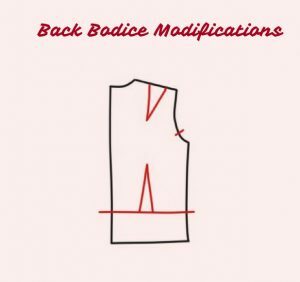 Sew the back facing to the front facing at shoulders and then stitch the upper collar to the facing, the same way you did with the undercollar and the bodice. Clip the edges of the seam allowance to reduce the bulk. Put facing to the bodice right sides together. Stitch along the collar and then down the front of the bodice. I left few cm of the facing hanging free. It will make hemming much easier. Turn up the hem of the jacket and the facing. I can’t believe I have never done that before, but during this project, I discovered the glory of the blind hem foot. Despite using it for hemming the jacket, I am still pretty sure that it will take me another 50 projects to be sure which way I should put my pins in while using this foot. Anyhow, hem the jacket at this point. Once you finish hemming the jacket, turn the facing back towards the jacket and slipstitch them together. Join sleeve seam, press the seam open. Turn up the lower edge of the sleeve, iron to help it stay in place and slip stitch the hem to the sleeve. Here is the tricky part. We have to put in the sleeve without confusing right sleeve with the left sleeve. Turn the bodice wrong side out and the sleeve the right side out. Put in the sleeves into the armhole, while matching the notches that you’ve made on the sleeve and the bodice. Sew together and press the seam open. Make the lining the same way you made the jacket. Put in the darts and sew the bodice together. Prepare the sleeves of the lining. Then, just like with the jacket, turn the sleeve right side out and the bodice inside out. Slip the sleeve into the armhole, pin together (make sure you’ve got the correct sleeve) and sew the sleeve to the bodice. Turn up the hem of the sleeve and press it to make it stay that way. Start attaching the lining by joining the lining and coat facings right sides together. Make sure that you match the shoulder seams. Stitch it from hem to hem. Turn your coat and lining right way out and push the sleeve lining through. Press the seams to help them stay flat. Turn up the hem of the lining and slipstitch it first at the sleeves and then at the bottom hem of the jacket. Put on the jacket and lap right front over the left. Check that the front of the jacket is even when you close it. You will have to put in 3 buttonholes (or 4 if you prefer the original look of the jacket) on the right front of the jacket and two rows of the buttons. The position of the buttonholes depends on the size of your jacket. The way I determined where I want my buttons was by first looking at the jacket when I put it on and marking the position of the first buttonhole. Then, check how much space you have to the hem, divide that by 3. Mark the buttonholes in even distance away from the edge of the jacket and from each other. Mark and sew buttons to the left front, under the buttonholes. measure an even distance from the buttons when the jacket is closed and sew the second row of buttons on the right front. For my jacket, I decided to use covered up buttons, which is a bit of additional work, but it looks beautiful and is totally worth it. OMG! You’re finished!! Can you believe it?! It was the longest and most difficult tutorial I’ve ever made on this blog, so I would really appreciate your feedback. Please let me know if you had any problems while making your beautiful jacket. Beautiful jacket, I congratulate you and I thank you. I hope to see more beautiful things like this one. Happy I found your blog! Love making my own clothes. Wonderful ideas here! Thank you, Marlena. When will you get the pattern available for the jacket? Because I fell in love with this tutorial and really want to make it with the pattern. It really inspires me that you were able to make this which is a goal I have set for myself. Thank you so much for your comment. I am still at the beginning of my pattern-making journey and I am hesitant to release patterns yet (perfectionism paralysis!). I really appreciate your comment, it lets me know that there are people out there who are interested in my work. 🙂 I will try to reopen my work on this pattern soon (big thanks to you for that!!!). just found your blog and your suit is AMAZING! lovely tutorial as well.